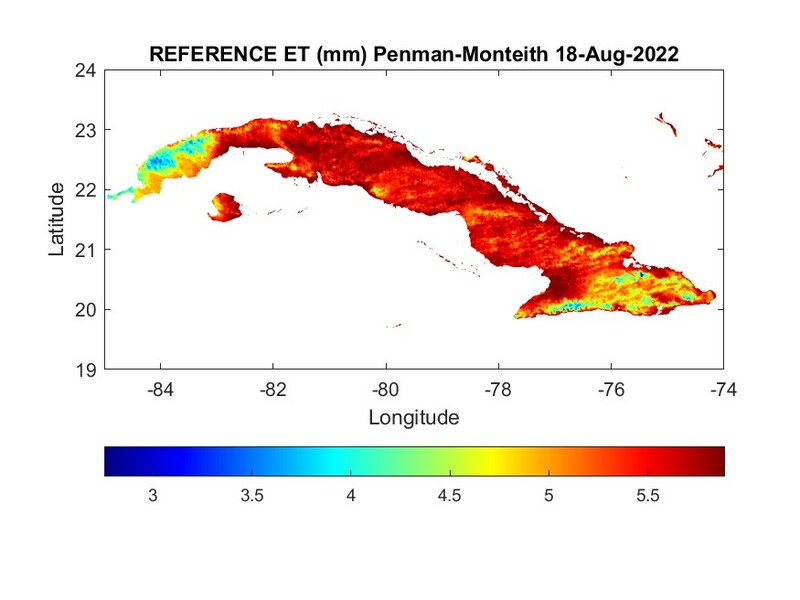 Daily reference evapotranspiration (ETo) is now available for Cuba at the following link: Northern Caribbean ETo. The link also includes ETo data for Puerto Rico, the US Virgin Islands, Hispaniola and Jamaica. Click for archived maps of reference evapotranspiration and other climate variables.